This beautiful four bedroom four bath unit has over 4000 sq. ft. under air. Upgraded features include, Chestnut Flooring in main living area and kitchen, detailed crown molding with rope lighting in grand salon and dining area, Venetian walls, faux painting, surround sound, arched doors, LED lights in can lighting, Gas Fireplace and two zone AC with dehumidifiers. The kitchen boasts water purifier, Thermodor cooktop, farm house copper sink and copper range hood, Two Thermodor self cleaning ovens, trash compactor, three Fisher-Paykel dishwashers, 2 wine coolers, one in kitchen and one in study and Miele built in Coffee Maker. The master bath has electrical Toto toilets and the guest baths have Toto brand toilets. The master bath has stone crown molding, the second bath has whirlpool tub and the 4th bath has lighted crystal bowl. There are just too many upgrades to mention. Please see attached feature sheet. This is truly a must see home. 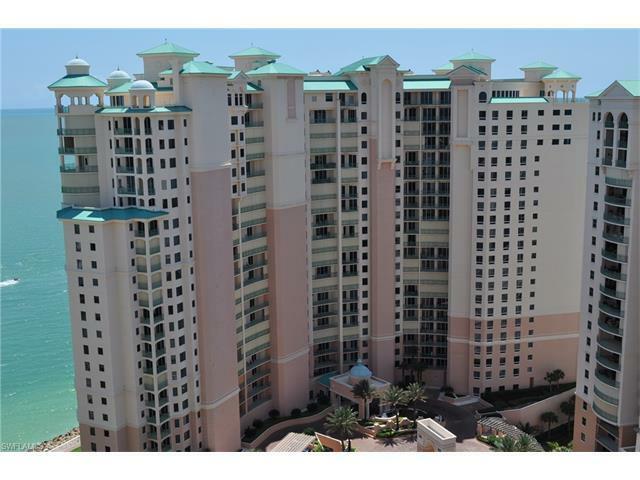 Come see what luxury gulf front living is all about in this magnificent building and community. This condo has an optional cabana valued at $400, 000. See details in PRIVATE REMARKS BELOW. © 2019, The data relating to real estate for sale on this Website come in part from the Broker Reciprocity Program (BR Program) of M.L.S. of Naples, Inc. Properties listed with brokerage firms other than Remax Affinity Plus are marked with the BR Program Icon or the BR House Icon and detailed information about them includes the name of the Listing Brokers. The properties displayed may not be all the properties available through the BR Program. BR data on this website is provided by Remax Affinity Plus on behalf of Dale Glon. The source of this real property information is the copyrighted and proprietary database compilation of the M.L.S. of Naples, Inc. Copyright 2006 M.L.S. of Naples, Inc. All rights reserved. The accuracy of this information is not warranted or guaranteed. This information should be independently verified if any person intends to engage in a transaction in reliance upon it. Data last updated 2019-04-20 21:50:29.